NEW from Grease Magic! Grease Magic ODOR ERASER Cherry is a concentrated, water-based odor counteractant with a naturally organic fragrance! Designed for use in a wide variety of applications including carpet cleaning, water restoration, trauma/decay clean-up, fire & smoke restoration, pet stain and odor remover, and all other odor control applications! If you can safely clean the material with water, you can use ODOR ERASER for odor control! SUPER VERSATILE! Add 2-8oz./gal of water in sprayer. Spray directly on carpet over affected areas. Add 1/2-1oz./gal of RTU cleaning solution. Add 12oz./5gal of container of concentrated emulsifier. Dilute 12oz./gal of water. Wear respirator. 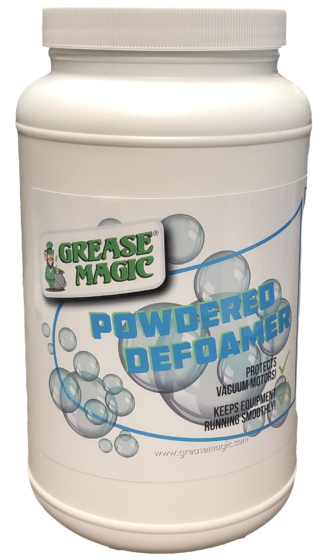 Add 2-4oz./gal to water-based cleaner such as Grease Magic SPEED WIPE or HEAVY DUTY DEGREASER. 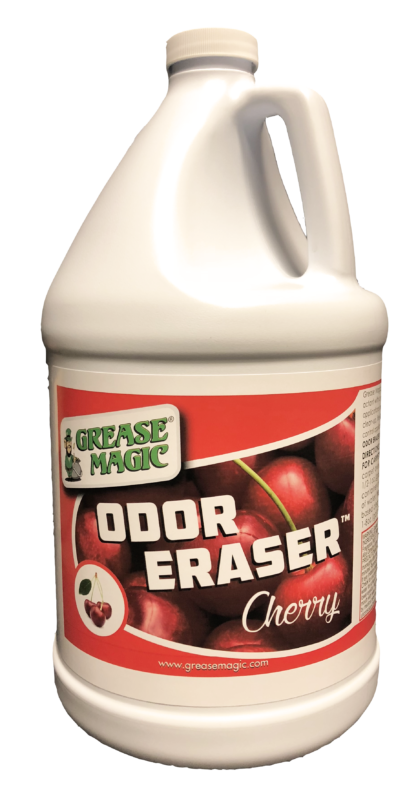 View Cherry Odor Eraser SDS here.